Coors Light and the NHL Stadium Series Builds a 40,000 pound Ice Mountain in Chicago for Blackhawks vs. Pittsburgh Penguins! Hi there! It’s Atorina Z from Billy's office, here to give you a reason to celebrate this weekend! 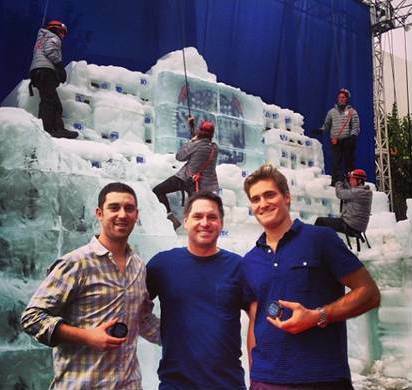 How about with a 30-foot tall, 60-foot wide, and a 40,000 pound ice mountain filled with beer-cooling Chill Pucks?! Check out the Coors Light Clusterpuck Event! !